Do you have a kindergartener starting school in the fall? You might be nervous about their reading level or them losing interest in that sacred ritual before bed, right? Because kindergarten marks the start of a more rigorous reading curriculum, children may get frustrated and lose their enjoyment of reading. What if there was a way to combat that? 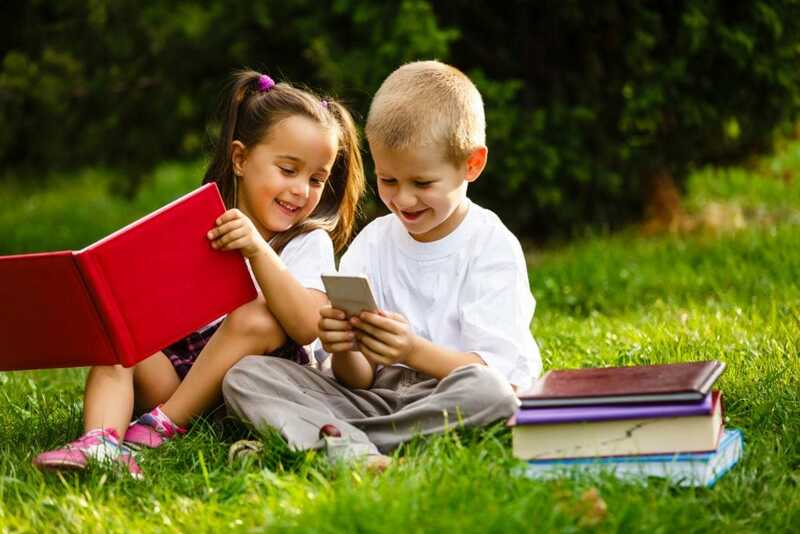 With loving encouragement and the right children’s books, you’ll raise a bonafide bookworm with no issue. Kindergarten is a major checkpoint on your child’s journey through literacy as it basically marks the start of their adventure. This is where they’ll learn the fundamentals of reading, like mastering word and letter recognition as well as sounding out words (source). In kindergarten, kids will grasp the concept of reading top-to-bottom and left-to-right as well. Short phonics books with simple sentences are the best books for 5-year-olds. This doesn’t mean you should totally count out picture books, though. Reading storybooks at home together is a special way to bond together, even though your child will start learning to read independently. To help your child retain lessons from school, it’s important to reinforce what was learned during the day, at home. Keep in mind though, they’re going to be learning so much in school that reading at home can get overwhelming. Prevent the burnout by playing word games or doing other literacy-based activities together. When you’re getting ready to spend quality time with your child and a book, it’s important to put away all distractions. This means leaving your cell phone in another room, getting comfortable, and giving undivided attention to your child. Peeling away from life’s distractions is hard. But making sure that you’re completely focused on reading together will benefit them more than if you’re only half there. Children thrive on independence. A great way to help foster that is by letting them choose the books you read together. This may mean that they choose the same book for the umpteenth time. However, rereading their favorites helps teach them to predict what will happen next in a book. There are plenty of different ways to read together, whether it’s by reading the story word for word, or by making up your own just by looking at the illustrations. Mix it up to encourage creativity and keep them engaged. To ensure you’re getting the best books for your 5-year-old, there are some important things to keep in mind. Any books with letter repetition and easy-to-read sentences are fantastic for 5-year-olds. These are your typical run-of-the-mill phonics readers. Phonics readers encourage the concepts that words are made of letters and letters are made of sounds that then connect together (source). Phonics readers are a popular option because they come at a variety of levels to meet your child at their level as they progress. As much as we want our children to have a wide vocabulary, you don’t want to overwhelm them with too many new, big words in their stories. It’s a good idea to tone down the verbiage and gauge whether your child will enjoy new words or end up frustrated. Bigger, lesser-known words are still okay so long as they’re in moderation. Generally, children this age are most familiar with sight words and word families such as cat, bat, mat, etc. (source). Finding the best books for 5-year-olds can be a little daunting. We’ve done the hard work for you. Check out our picks below. This book is great for when your child is feeling frustrated or left out. The story follows the crayons in a little boy’s crayon box. They were fed up with how they were being treated so they all quit working. It’s a favorite for its funny storyline as well as the implicit message of expressing how you feel when you’re upset, while also introducing the importance of cooperation. If your child is more on the shy side, this is a sweet title for them. 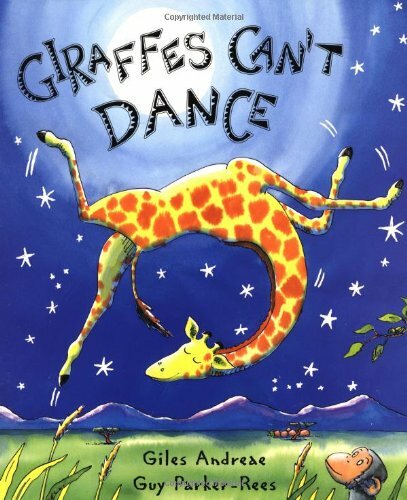 Gerald isn’t a talented dancer and he gets sad and doubtful when the other animals tease him. In the end, though, he figures out a dance that he can do, and everybody is amazed. This is an appropriate title to bring up the concept of bullying as well as self-love. We chose this book just for that, and for its rhyming qualities to keep kids engaged. This level one reader is ideal for your 5-year-old if they’re starting to read more independently. 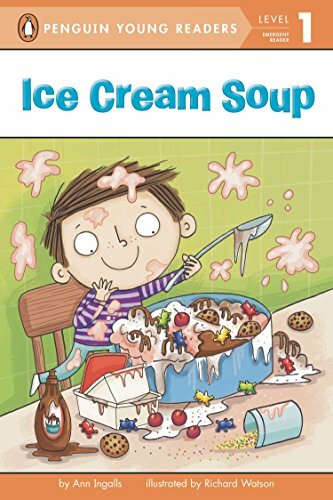 The story is about someone who wants to make an ice cream cake but adds too many ingredients, thus the soup. It features rhymes, with fun illustrations for some hearty laughter along the way. If your child enjoys all things trucks, this is a good book for them, especially for bedtime. Each truck in the story takes turns finishing their work for the day and saying goodnight, and it names the actual construction trucks. 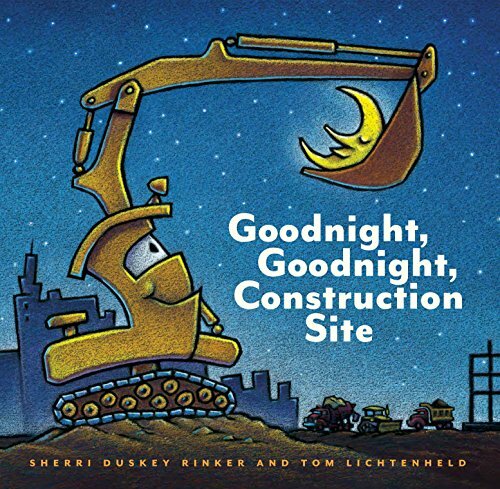 With its beautiful illustrations and truck-centric plotline, your little construction lover will likely choose it time and time again. These books are nice because there are multiple sets for beginner readers, five in total. Set one is best for 5-year-olds and other new, unconfident readers because it only covers four letters per book. Once your child feels confident reading set one on their own, they can graduate to the next. In the box you’ll receive 12 small and simple stories, so your little one will be able to build their confidence as they go. Curious George is a classic storybook character that everybody adores. 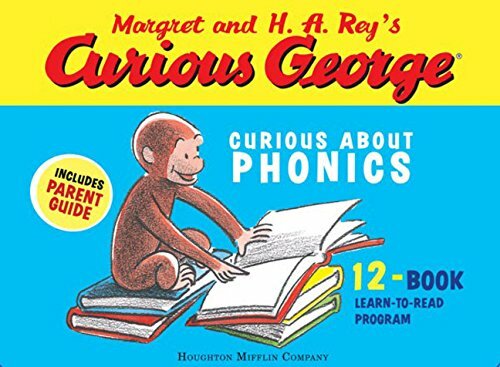 These phonics readers make it so your monkey can read Curious George on their own. This phonics set comes with 12 books, all with your standard George adventures, and a parent guide to help you reinforce what was read. Walk into any kindergarten classroom and you’ll be sure to find this title. This is a staple that should be on every kid’s bookshelf and is lovely for teaching young children about cause and effect. 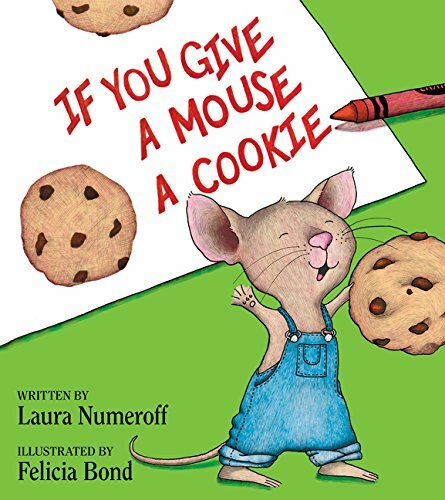 It offers a quirky storyline with the hungry mouse and how he keeps coming back for more when you give him new things. Decades later, I still remember this one from when I was a child. 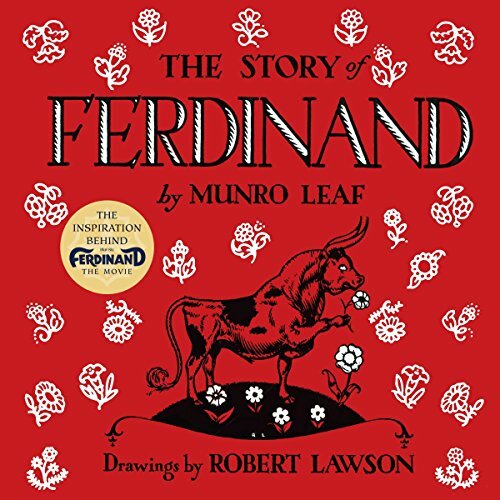 Ferdinand is a young bull who is different from the rest of the bulls in the bullpen. While most are rough and rowdy, Ferdinand would much prefer to sit and smell the flowers. It encourages kids not to take life too seriously, and enjoy their surroundings. It’s a wonderful example of being true to yourself, even if other people think it’s weird. Each page only contains a few sentences so it’s easy to read. The unique illustrations are simple yet descriptive, leaving some room for the imagination to wonder. The rhyming text throughout this story will help keep your child interested. The text is also larger than normal and some words are emphasized more than others, to help the reader out. 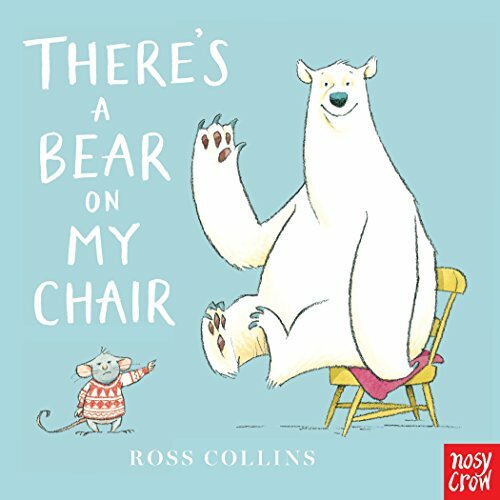 The story follows a mouse who sees a bear on his chair. The mouse is worried because now he has nowhere to sit. Once the bear leaves to go home, he sees the mouse in his house, and so on. With playful illustrations and a silly storyline, we’re sure your 5-year-old will be encouraged to read this one. 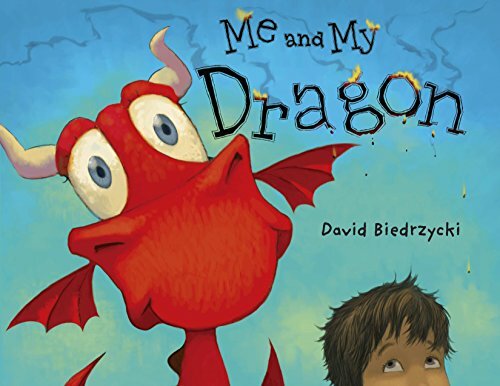 If your child has an affinity for dragons, this quirky title might be essential. The story revolves around a boy and his pet dragon. The boy goes on to explain why dragons make the perfect pets and what you need to do to choose the perfect dragon. We like this title for its unique plot and the illustrations that help back it up. There’s minimal text per page, making it great for beginner readers. It also provides a chance to discuss what it means to take care of someone or something, even if it is a dragon! If your child is having trouble with sharing, a common issue among 5-year-olds, this is a timely book to pick up. This is the story of the shiniest, most beautiful fish in the ocean. His flaw is that he’s stingy and doesn’t want to share his beautiful scales with the other fish. He eventually learns that sometimes sharing can be fun and, in turn, he becomes much happier. 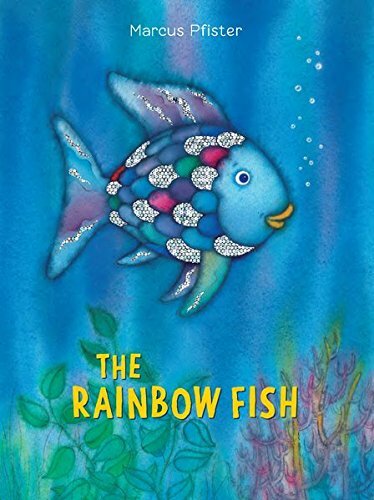 The beautiful, watery illustrations and moral of the story should keep your kid curious while reflecting on their own abilities to share or not share. This is a silly story, sure to keep your 5-year-old’s interest, especially if they’re into dragons. 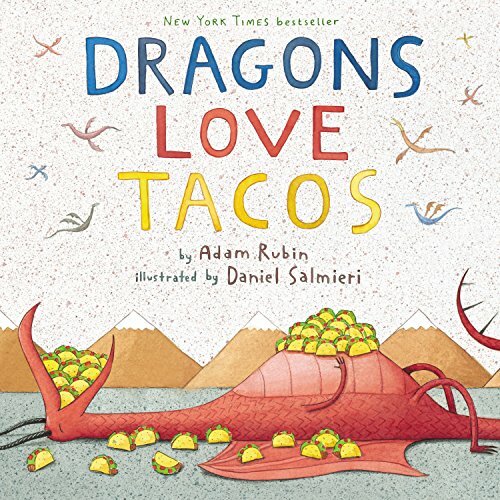 The story is all about how much dragons enjoy eating tacos. The silly part comes when we read what happens when they eat salsa. We love this book for its fun-loving nature. It’s also easy to comprehend, which helps in learning how to predict what happens next. Maybe your child is feeling a bit discouraged on their reading journey. 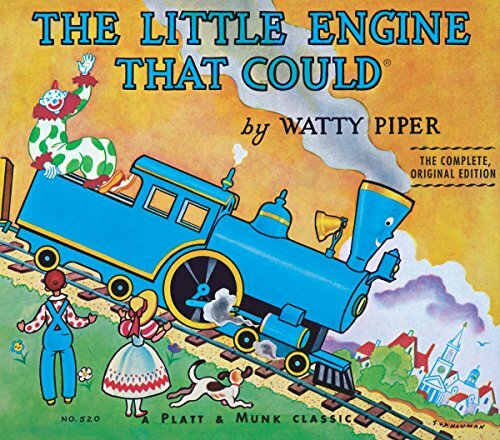 It’s time to break out the story of the little engine. This Has been a true classic for many generations, with the train’s challenges being similar to our own — it’s relatable and sweet. This book is great for giving a boost of encouragement and reminds the audience to stay persistent, and you’ll be able to achieve everything you want to. 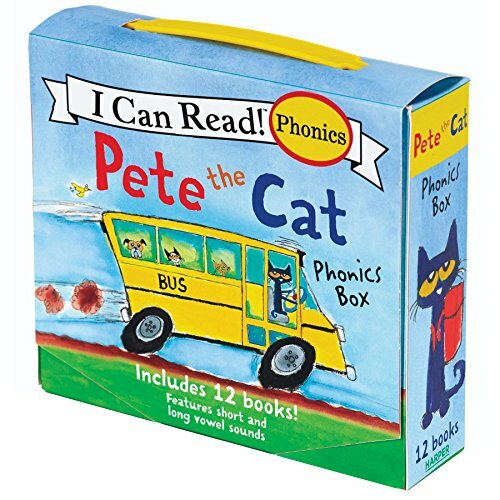 Pete is a major hit with kids and this phonics set is sure to keep your child interested and ready to try reading on their own. This box comes with 12 mini books that feature short and long vowel sounds, as well as common sight words. 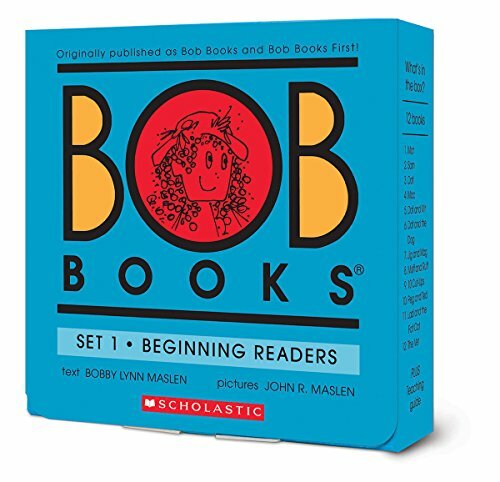 These are great for introducing your child to phonics readers, but keep in mind that you may need to start out reading these together until your child is more confident. Any parent of a typical 5-year-old knows that this age can be tough. 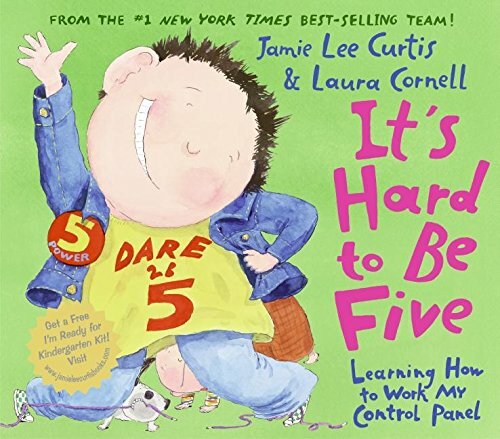 This book is a helpful and fun tool for teaching your child self-control. It uses humorous rhymes to convey the message of the story and silly illustrations add to the fun. We like this book because it helps validate your child’s feelings toward certain things and it makes them feel better knowing that their tough emotions are actually quite normal and experienced by us all. Before choosing books for your child, remember to keep the vocabulary in mind and then make your decision based on whether you think it’s appropriate for your child. Now that we’ve gone over the best books for 5-year-olds and how to find them, which on this list is your favorite? 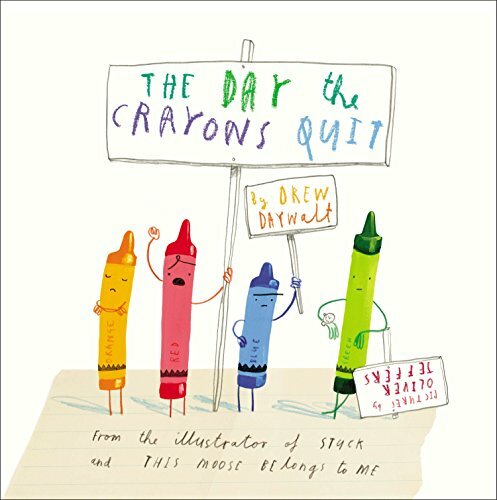 The Day the Crayons Quit has to be our top choice. It’s a funny storyline, and the hidden message of encouraging kids to express their feelings is what really got us. Will you be buying any of these books for your child? Do you already own some of these? We want to know!